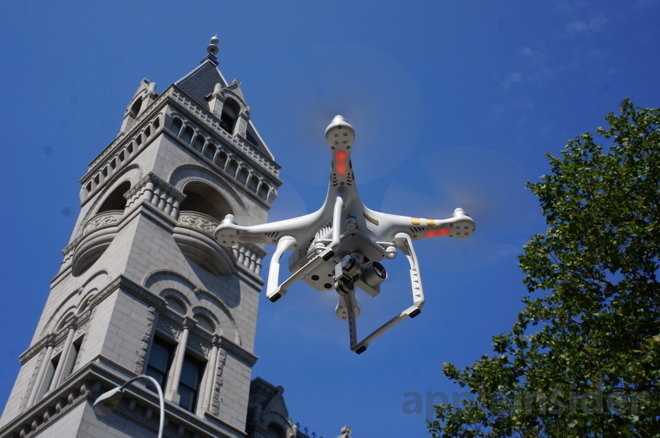 The U.S. Department of Transportation in cooperation with the Federal Aviation Administration on Monday announced the formation of a task force charged with the creation of a registration process for unmanned aircraft systems, otherwise known as drones. Consumer interest in drone piloting has rapidly increased over the past year, in no small part thanks to flight-enhancing technological advances like smartphone connectivity. However, with more drones in the sky, untrained aviators are quickly becoming a liability to both commercial pilots and bystanders on the ground. For example, the FAA receives reports of potentially unsafe drone activity on a daily basis, while sightings of the unmanned craft have doubled since last year, the DOT says. The new UAS task force, and the forthcoming drone registration process, is meant to address those concerns. "Registering unmanned aircraft will help build a culture of accountability and responsibility, especially with new users who have no experience operating in the U.S. aviation system," said U.S. Transportation Secretary Anthony Foxx. "It will help protect public safety in the air and on the ground." Comprised of 25 to 30 representatives from the UAS and manned aviation industries, the federal government and other stakeholders, the task force will develop criteria for drone classification based on safety risk. Owners of smaller toys and other hardware will not be required to register their equipment, the DOT says. The task force is taking commercial operators into consideration with its forthcoming registration framework and will explore ways to streamline the process for such users. With a registration system in place the government will make drone owners accountable for rule adherence and safe flight protocols. The task force is expected to deliver recommendations on registration and additional safety regulations by Nov. 20. Separately, the FAA will continue education and outreach efforts like the "Know Before You Fly" and "No Drone Zone" programs.